Get your items valued by the experts - ‘Memorabilia Day’ returns to Liverpool. 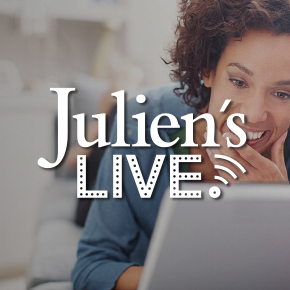 • The Beatles Story and Julien’s Auctions Throw Spectacular Two-Day Beatlemania Event. • ‘Music Icons: The Beatles in Liverpool’ Auction to Take Place for the First Time at the Museum. • Members of the public invited to have their Beatles items appraised by the experts. 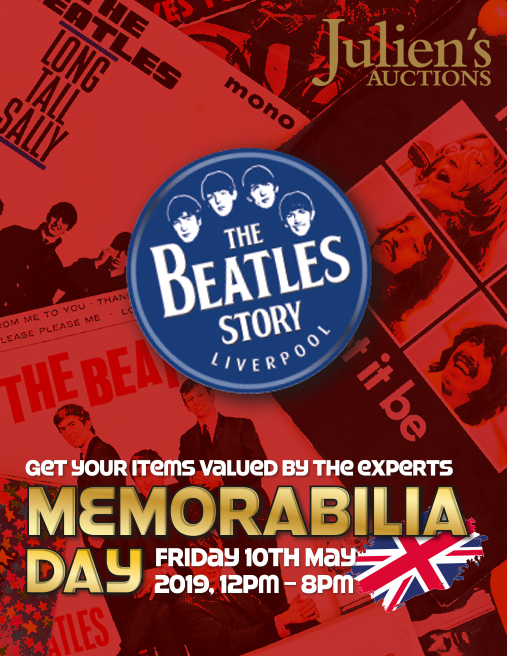 The Beatles Story and Julien’s Auctions team up once more to bring their Beatles and Merseybeat ‘Memorabilia Day’ back home to Liverpool on Friday 10th May 2019, 12pm – 8pm. This special event, which gives fans and collectors the opportunity to have their Beatles memorabilia appraised by the experts will take place in The Beatles Story’s Fab4 Cafe on the Royal Albert Dock in Liverpool.